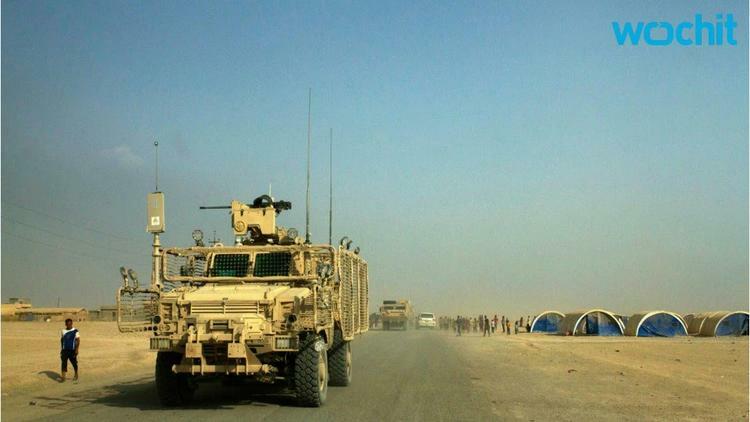 The group known as Islamic State (IS) reportedly used a sulpur-mustard gas against US troops in Iraq. It was detected in a black oily substance found on a rocket fired at an American airbase in Qayyarah, south of the city of Mosul. None of the soldiers stationed at the airbase – deployed there to support a forthcoming Iraqi offensive to take back Mosul from IS – have suffered any symptoms of mustard gas poisoning. The base took decontamination measures after the rocket hit. This is not the group’s first chemical strike. Reports are mounting up that weapons of mass destruction (WMD) are now part of the organisation’s arsenal – and all thanks to US foreign policy. The US-led invasion of Iraq in 2003 and the regional chaos that followed is a major reason why IS emerged in the first place; had the war never happened, the group might never have existed, and it certainly wouldn’t have been able to tear through and take control of huge swathes of the country. So at last, the US has finally found WMD in Iraq, but only after its own actions allowed them to spring up there again. In 2003, WMD were at the core of the US’s push to “disarm” Saddam Hussein. But times have changed, and the US is being very muted about WMD being made and deployed in Iraq. While you might expect the threat of a chemically armed terror organisation to be exactly the thing the US would want to shout about, the Pentagon has instead played down the incident and IS’s chemical capability. Navy captain and Pentagon representative Jeff Davis struck a note of calm, saying IS had in the past used chemical arms only to “little effect”. He also said the agent used in this latest incident was “low-grade” and that the weapon itself was “imprecise and crude”. The US military has also been very keen to highlight that this event “hasn’t impacted the mission in any way”. Spokespersons said the US doesn’t consider Islamic State’s chemical tactics a threat, and have not changed their security procedures as a result of what happened at the airbase. There are lots of reasons not to make a song and dance about the strike. While it’s now been confirmed that sulphur-mustard was used, no-one was hurt – so why make a fuss? The US also probably doesn’t want to admit that IS is capable of carrying out any sort of attack against American troops, especially not with a weapon like this. And with a major push to take back Mosul in the offing, the US doesn’t need IS’s capacity and capabilities amplified any further. Another explanation, however, is less practical: the US doesn’t want to talk about WMD in Iraq because it was an American-led war that created the situation in which these weapons have ended up in the country. It’s also a difficult reminder of the “threats” invoked as a pretext for that devastating conflict. In 2003, the US cried wolf – and despite the change of regime since then, it doesn’t want to remind everyone what a mess that turned out to be. The Pentagon has very noticeably not called this chemical weapon a weapon of mass destruction. All reports have referred only to “mustard gas”, even though chemical arms are typically thought of as mass destructive – at least, they were when Hussein had them. As former Secretary of State Condoleezza Rice’s infamous smoking gun/mushroom cloud comment in 2002 made clear, WMD is a very emotive term. It not only sets a particular weapon apart as something especially destructive, but comes with the implication that everything should be done to get rid of it. The whole premise for the Iraq War was that WMD were so intolerable that the US (never mind the world’s reticence) had no choice but to intervene. Today’s Pentagon clearly hopes that by staying away from that sort of language today, it can defuse any pressure to get more deeply involved on the ground in Iraq. If the presence of WMD demands intervention, the US should therefore be even more involved than it is now. But President Obama has long shown an aversion to intervention not only in Iraq, but also in Syria, where IS and Bashar al-Assad are also using chemical warfare. WMD proliferation in Iraq could force Obama to change his policy. Ultimately, chemical weapons control is only a foreign policy priority when it suits the US. This is not a good basis for dealing with the situation in Iraq, Syria, or anywhere else where these weapons are used. There needs to be more consistency. Otherwise, the chemical threat is just another rhetorical tool used to justify (often controversial) US policies.